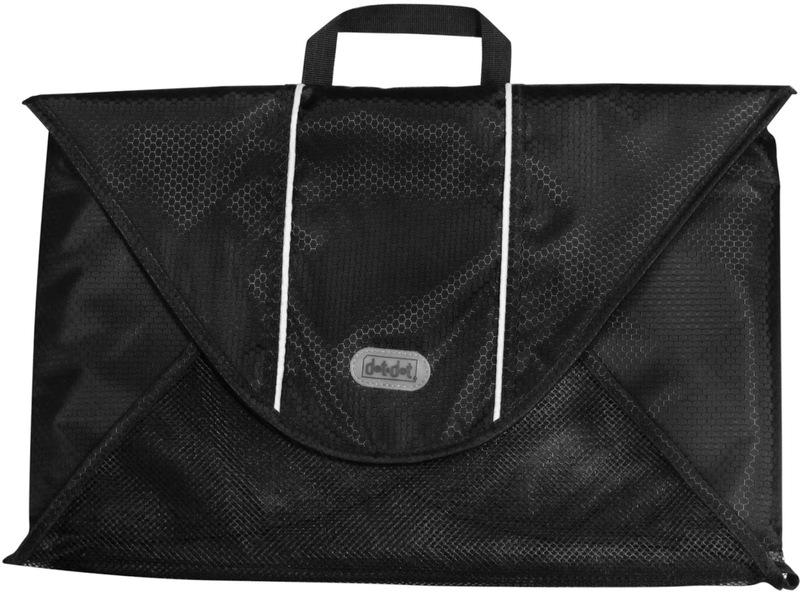 SIZE: Small - 15" x 10" - Dot&Dot travel packing organizers are also available in Medium size at 18" x 12"
Includes folding board. Holds up to 7 items. I was really happy to get to try dot & dot. 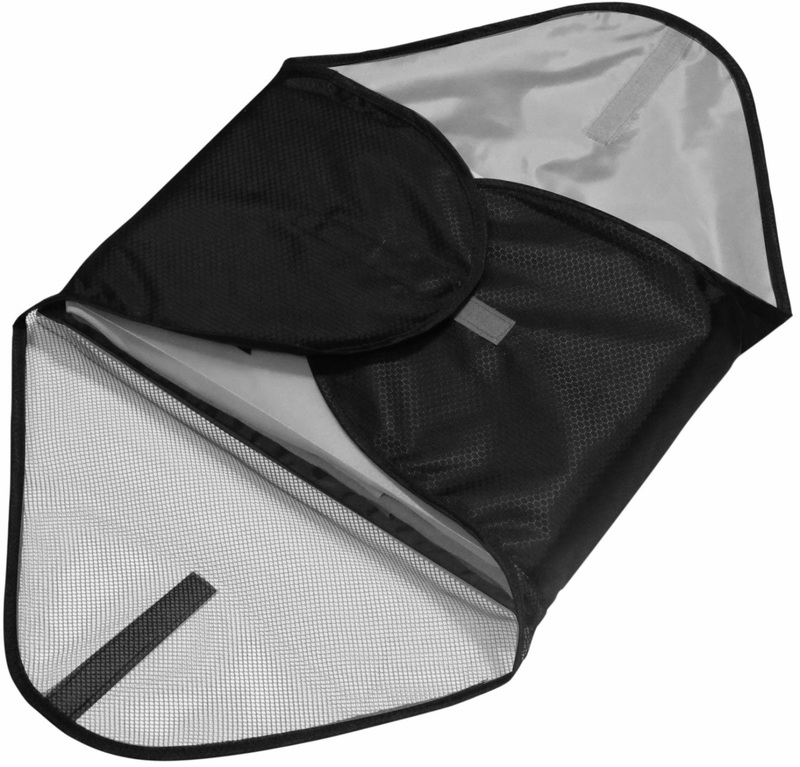 15" Packing Organizer/Folder/Envelope. I love to be organized, especially when traveling, so I can be prepared and enjoy my travel time. 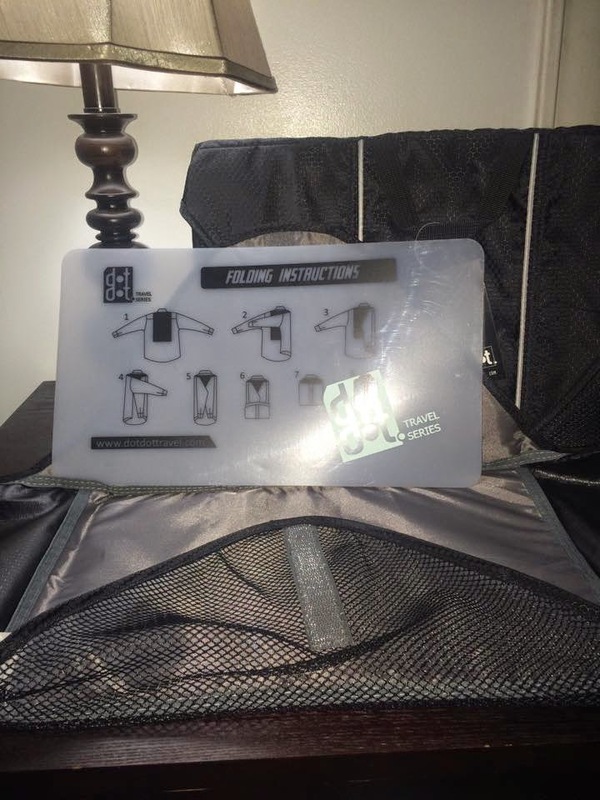 I was able to comfortably pack 4 shirts and 4 pants nicely folded with the enclosed plastic boards with the instructions on it as to how to use the board to fold the shirts you are packing inside. 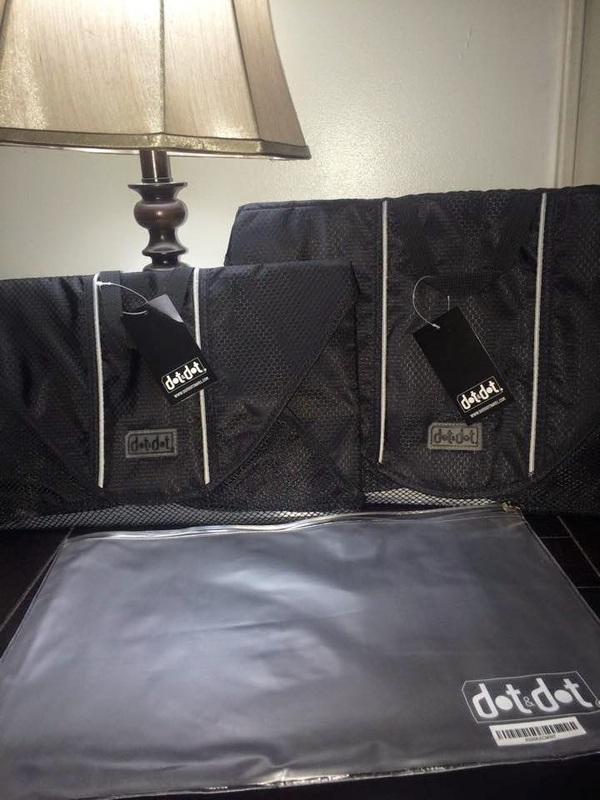 The folding board is really nice because it shows you exactly how to fold for a wrinkle free shirt and maximum space saving in your packing envelope. I love that it is not bulky, it looks professional and had a nice handle for carrying. 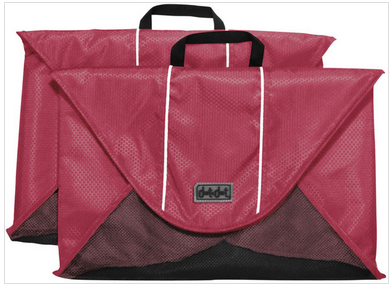 The zipper is sturdy and the material is of good quality. I like that when I am not traveling I can keep a spare outfit in my car just in case I need it for any reason. This is a very handy packing envelope, I recommend it!